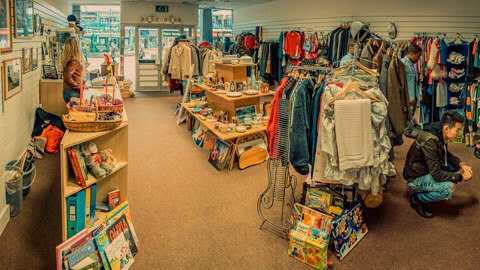 I thought you might be interested to know how our K4 Shop in the Bracknell town centre did in 2014. Income for the year was £57,585, which includes money we got from selling some of the excess clothing to a salvage company. That means that the shop income was over £1,000 a week, which seems remarkable when you go into the shop and see that pretty much everything in there costs £5 or less. Rob Eveleigh as the manager and Teresa Cottee as his assistant, plus the army of volunteers who help sort all the stock and keep the shop going, really have done an amazing job in making that possible - thank you to everyone involved. Huge credit also to Catriona Mitchell who first had the vision for the shop, and was then instrumental in getting it up and running. Costs associated with the shop in 2014 were £35,873 which includes wages, rent, utility bills and insurance. That means the shop made a profit in 2014 of £21,712 which is brilliant. That money has allowed us to maintain our CAP Debt Counselling Centre at its existing size (as one of the biggest CAP Centres in the country) whilst continuing to expand the size and range of our other Social Justice ministries. You'll hear more about that on Sunday if you're at any of our Bracknell meetings, or in Sandhurst the week after. As part of developing our CAP Centre we've recently appointed Tim Wheatley as our Centre Manager, taking over from the fantastic Lisa Rutland who stepped down last Summer. Tim originally started with us on our Academy, then took on being a Debt Coach and has now stepped up to being the Centre Manager. Please be praying for Tim as he takes on this new role. Sadly, after many extensions to our lease, it looks like we'll lose our current shop in April as the Bracknell regeneration moves on to the next phase. We've been working hard to try and find a new site for the shop, but so far with no success. Please be praying for that too, and if you have any ideas please let us know. 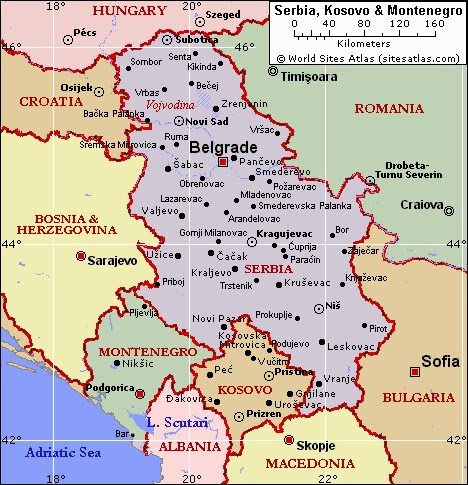 On Wednesday evening Ken Bothamley and I head off to Macedonia and Serbia for a week. First off we head to Skopje in Macedonia to see Sasha and Marija. You may remember Marija and her daughter Tamara who have been guests in the past at our REAL women's conference. Sasha has also visited Kerith before too. They're a great couple doing some very innovative things to reach the people in their community - it will be great to see them in their context. We then travel to Nis is Serbia to be with our friends Vlada and Sonja, who again have both visited Kerith on a number of occasions. In Nis I'll be speaking at a men's breakfast, to a youth event (any tips Liam?) and to their Sunday meeting. If you don't remember Vlada he's the one who sounds just like Gru from Despicable Me! We then travel to a place called Kragujevac to meet a couple called Ivan and Andrijana who lead a church there, and to speak to some of the people they're gathering. Finally we head off to Belgrade to meet some more friends of Vlada and to fly home. Please be praying for us over the next week, that we'd be a huge encouragement to all the people we meet and carry the presence of God with us. Our Kerith youth ministry continues to go from strength to strength. As one example last Friday night over 200 young people gathered for our weekly LIFE event, with over 40 of them there for the very first time. We want to do all we can to work alongside other church based youth ministries to grow and be succesful in reaching young people with the life transforming message of Jesus. 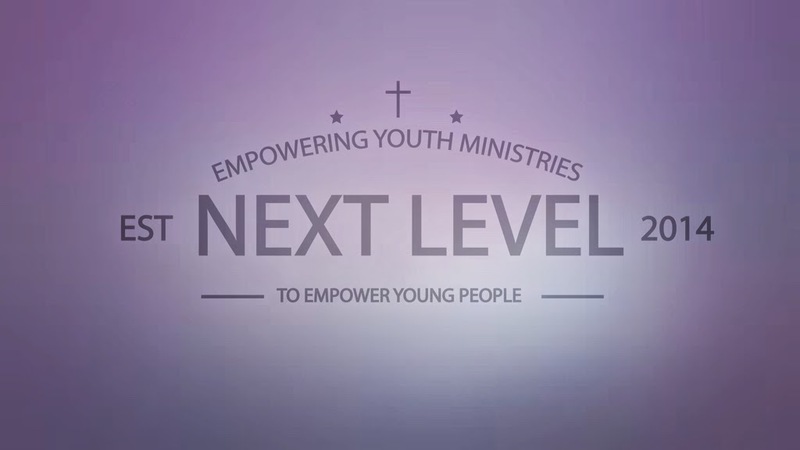 As part of this we host "Next Level" events where different youth ministries can come together to collaborate and explore ways of being more effective. The next of these is on Saturday 21st March starting at 1pm at the Kerith Centre in Bracknell. If you want any more details please contact our amazing youth pastor, Liam Parker, who will be able to fill you in with all the details. So it's confession time. As I reflected on 2014 I realise that one of the things I (we) didn't do a good enough job of was keeping everyone updated on how our finances were going. This wasn't because they were bad (in fact there were lots of good things to share), instead I think it just got lost in the midst of everything else we were talking about. So as we start 2015 we'll attempt to do better. Over the next few weeks I want to share some of what happened over 2014, let you know how we've started 2015 and let you know some of our future plans. What would really help me as I do this is to know what questions, if any, you would like to see answered around our finances. My goal as a leader is always to be as transparent and open as I can possibly be. That goes for all areas of church life, but particularly in this one, so if you do have questions then please let me have them and I'll do my best to answer them. As part of our month of prayer we're meeting on Tuesday (17th Feb) at the Kerith Centre to pray. We'll be meeting from 8-9.30pm, will have a time of worship as one of our expressions of prayer, and will pray for a whole range of issues. This is a one church event, so I'd love to encourage all of us, whichever site we normally attend, to be there. The following Wednesday (25th Feb) we meet to pray at Sandhurst School, again as a whole church, so please plan to be there too. Further to my previous blog we now have application packs available for the job of Konnections manager. This role will be on a one year fixed term contract until April 2016. If you, or someone you know, would be interested in applying for the role please pick up an application pack either from the Kerith Centre reception on Sunday or during the week, or from the reception desk at our Sandhurst site on Sunday. For any further information about the role please email our HR Manager, Ali Hudell. This is a vital role for us as we look to serve some of the most vulnerable people in our community, so let's all be praying for the right person to come forward and take on the role. 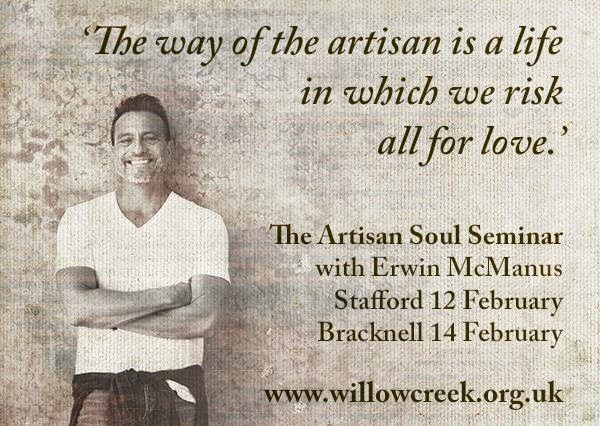 For all those not yet to booked into the Artisan Soul conference on Saturday I want to strongly encourage you to be there. It's such a privilege to have someone of the stature of Erwin with us and we're in for a fantastic day with him, so if you're free on Saturday please book in - you won't regret it! And please don't be put off by by all the talk of artisans if, like me, you write yourself off as an artisan because you're not a painter, musician or actor! When Erwin talks of artisans he has all of us in mind, human beings created in the image of a creative God. The question is not am I creative, but how can I express my particular flavour of God given creativity. You can get more details and register here. If you're a regular attender at Kerith email info@kerith.co.uk for details on how you can get a 50% discount. Konnections is Kerith's respite facility for children with disabilities & additional needs. Anja Davies, our current Konnections Manager, is stepping down from the role so we are in the process of looking for a new manager for Konnections. I've included the outline job description below. If you, or someone you know, would be interested in applying then please email Lydia Harris-Lane, who oversees all of our work as a community with children and families, for more information and an application pack. This is a key role for us to fill, so let's all be praying for the right person to come forward. This is a paid position working 3 to 4 days a week, with some working on Saturdays required. We are looking for somebody with strong leadership skills, and good organisation ability, as well as an ability to be flexible, strong administration skills and be people focused. The ideal candidate would be somebody that can be calm under all circumstances and who is able to demonstrate empathy and commitment.